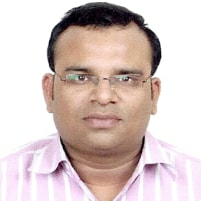 Hariprakash (Hari) is a serial Entrepreneur and senior Agile Coach. He is Founder/CEO at OpCord and RideAlly (Ride-sharing app). Under his leadership, OpCord was among 50 Emerging Companies in India by Nasscom in year 2012. He is one of the early adopters of Agile which goes back to year 2000. Out of 16+ yrs experience, he has been Trainer, Coach, Mentor from last 10+ years. He also has strong experience on CMMi, CMM, ISO implementation, program management and product quality. He has mentored/coached 100+ teams, product owners, scrum masters, managers, individuals and have built/managed community of SMs, POs, Architects & various practices. He has worked with 250+ teams together with fellow coaches on large scale transformations at ABB (SAFe/Scrum), Cisco (SAFe/Scrum), PayPal (Scrum, Kanban), Freescale (Scrum), MindTree (Scrum), and Sharp (XP) involving 50 to 500 members and have helped many small/mid scale organizations as well. On academic front, he is an M-Tech from IIT-Kharagpur in Reliability & Quality Engineering and BE from Jodhpur in Mining Discipline. How Agility affects Innovation in StartUps? StartUps thrives on Innovation. They can compete with mid/large organizations only if they remain innovative. Agile in general helps StartUps to innovate but it very much lies the way Agile is interpreted and implemented. Practitioners at times go overboard with practices of one of the methodology (say, Scrum, XP, Lean, Kanban etc) and loose the touch with agile values, context and reality. StartUps are always on resource-crunch, be it human power, systems, cash-in-hand etc and its not easy to keep best of processes with such constraints. Author has 3 startups of his own and have coached many startups/small companies in past and he would share his experiences/experiments with Agile keeping Innovation as the number one goal. With this talk, I would be sharing my experiences in running 2 startups in bootstrapped mode. When you bootstrap your startup for long period than lean concepts makes even more sense. Many times, CEO usually plays the role of product owner also as it is his/her vision which is getting implemented and converted into a reality. We will talk about How a CEO or product owner starts its journey from idea stage to take it to revenue/operations stage and what challenges do they face at each stage from team, finance, product direction/features, users, operations side etc. I would share the actions I took and we would together explore the answers or right approach.